You can download unlimited , by purchasing a subscription. katoba - Commented on	How does joompaid work? Problems with instalation ... XML dont found. Help-me please. Only registered and logged in users can download this file. You can now just place your original codes right into your WYSIWYG editor. 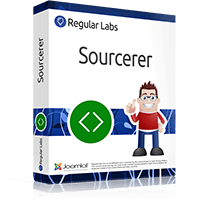 The only thing you have to do is surround the code with the Sourcerer tags. Easy peasy! So now you can also use PHP scripts in your content. That opens up a great deal of possibilities.